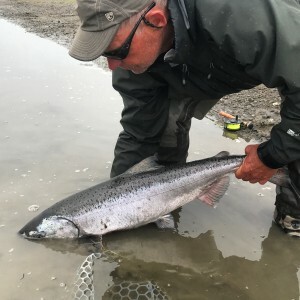 This first week of the season is for anglers who want to experience wilderness solitude on the Kanektok River in the early summer when fishing is hot and the weather is mild. 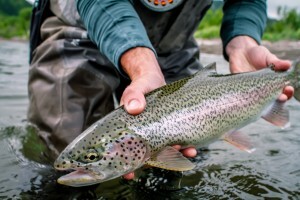 The upper river offers healthy populations of Arctic Grayling and Rainbow Trout that are keen to inhale dry flies and streamers. Dries and especially mouse patterns are an exciting way to target the trophies of the upper river in a lush landscape blooming with life. 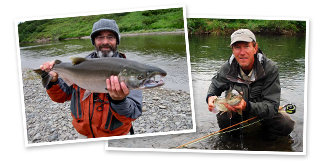 As we make our way down river, we intercept migrating Sockeye, King, and Chum Salmon, plus sea run Dolly Varden Char. 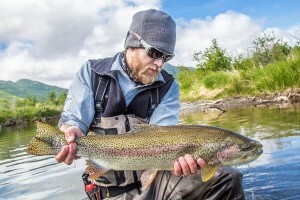 The challenging Sockeye are taken with nymphs and are strong, acrobatic fighters plus an extraordinary fillet for your riverside salmon dinners. 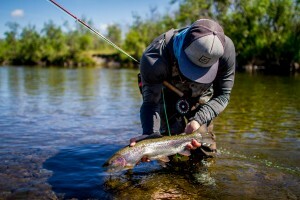 The Dollies search for the eggs of migrating salmon and readily take egg patterns but we also love to target these fish with streamers and skated top water flies. There is nothing more fun than top water Dolly eats. We will swing streamers to Kings in the middle and lower river and experience the eat of that adrenaline fueled tank which will make your muscles sore before you slide into your sleeping bag. In the lower Kanektok, fish will be pouring into the river and we will intercept them on our 100-mile journey to the village of Quinhagak. We enjoy the wildlife along the river as the tundra blooms. The staff will set up camp in some of the most beautiful wilderness scenery you can imagine. 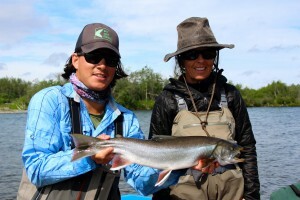 This week showcases the great diversity of the Kanektok River for fishing, wildlife viewing, and landscapes. You don’t want to miss this!